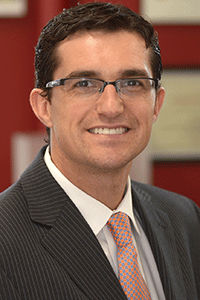 Benicio N. Frey, M.D., M.Sc., Ph.D. Among people with bipolar disorder, researchers have established a link between verbal memory and cortical myelination, or the fatty insulation protecting connections between neurons. This suggests a possible future target for treating cognitive symptoms of the disorder. Doctors have observed that patients with bipolar disorder may suffer from cognitive dysfunction -- deficits in executive functioning, verbal learning and memory, attention, and processing speed – even during periods of clinical remission. These problems, in other words, can be persistent and disabling, and their causes in the brain remain to be determined. Researchers trying to solve this mystery now report a discovery that enables them to better understand cognitive dysfunction in people with bipolar disorder. They found that the condition of white matter in the cerebral cortex can predict verbal memory performance in individuals diagnosed with the disorder. The scientists further suggest that white matter integrity may be correlated more broadly with cognitive function in patients. If confirmed, this new knowledge might help focus efforts to address cognitive dysfunction in patients. Reporting their findings in Acta Psychiatrica Scandinavica, the team was led by 2014 Independent Investigator Benicio N. Frey, M.D., M.Sc., Ph.D., of McMaster University in Hamilton, Ontario, Canada, and included 2014 Young Investigator grantee Luciano Minuzzi, M.D., Ph.D.; 2007 Independent Investigator Flavio Kapczinski, M.D., Ph.D.; and 2008 Young Investigator Roberto B. Sassi, M.D., Ph.D. In a group of 40 patients and 60 matched controls, the researchers used sensitive MRI brain scans to scrutinize patterns of cortical white matter. They paid close attention to intracortical myelin – the fatty insulation, akin to the protective rubber coating on an electrical wire, which coats the branching connections between nerve cells. This protective coating facilitates cell-to-cell communication. The team found a significant relationship between cortical myelination levels and verbal memory among people with bipolar disorder, but not in the comparison group of people who did not have the illness. They concluded that myelination levels are uniquely relevant to verbal memory in bipolar disorder, and pointed out that the effects were most pronounced in parts of the cortex called the temporal, parietal, and prefrontal areas, which are important in memory processing and retention. “Deficits in intracortical myelin maturation may be associated with verbal memory dysfunction in individuals with bipolar disorder,” Dr. Frey suggests. The importance of the association seems to be supported in recent findings implicating myelination of a class of cortical inhibitory neurons in cognitive dysfunction in schizophrenia, he adds. The team’s next step is to study the influence of mood episodes and medication effects in the myelination-cognitive function relationship, in a multi-year longitudinal study, Dr. Frey says.